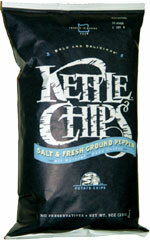 Taste test: These chips were pretty good, but they were far from being the best salt and pepper chips. The bag was a bit hard to get open. Upon opening it, I found some very crunchy, mildly peppery chips. They tasted good, but the pepper didn't have any real zing to it. The ingredients included jalapeño powder, but I didn't notice any jalapeño flavor at all. 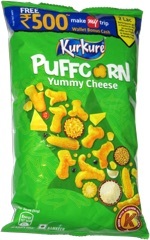 Even the potato flavor seemed weaker than some of the other Kettle Chips, where the chip itself tastes like a baked potato. Smell test: Mild peppery smell.